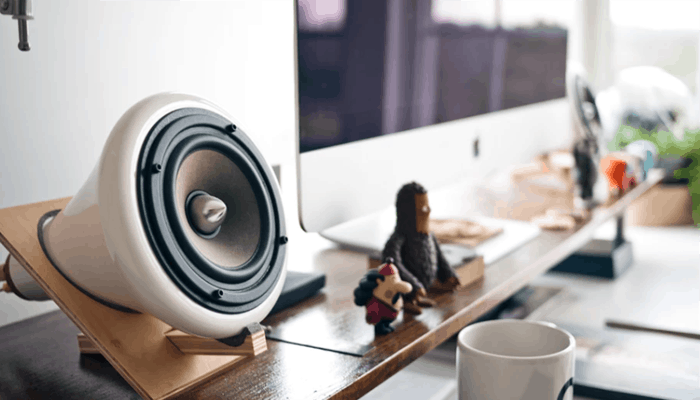 In the majority of our speaker reviews when looking for the best we collate a selection that differs in size, In a step away from our usual manner we are going to look at the 10 best 6.5 speakers to really hone in on what exactly sets each apart. The majority of our selection today are car options although we have chosen to include a maritime set and a patio set. 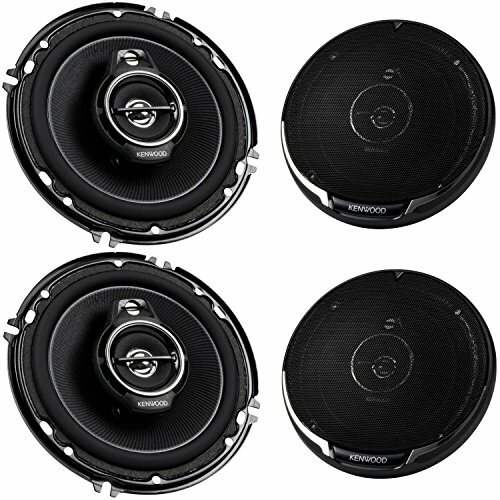 Many standard car speakers will be around the 6 to 6.5-inch diameter, it is an adequate size and typically common for installing in your car to replace the stock set without modifications. So they are pretty sufficient for most practical use and they don't take up too much space either which, is one of their biggest benefits. Not looking for standard? 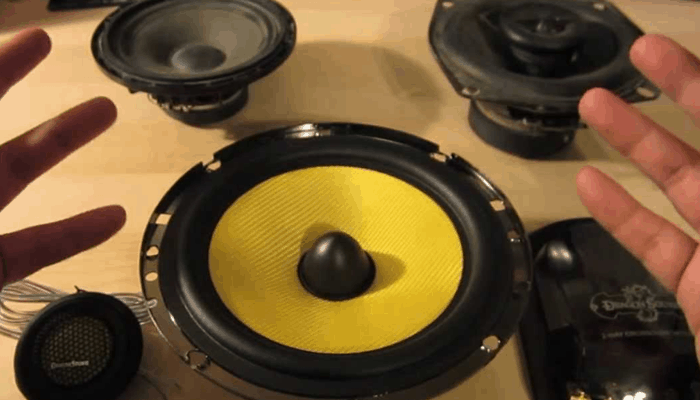 Try these car speakers for great bass. If you are shopping with a speaker size in mind then generally speaking the features wont differ dramatically until you compare a low budget set to a premium version., having a narrower search field means we can take a more thorough look at the products to begin with. Ultimately this means we can make a better informed purchase which we will be inevitably more satisfied with. You might be interested in: Best 6x9 Speakers Review. What to look for in 6.5 speakers? 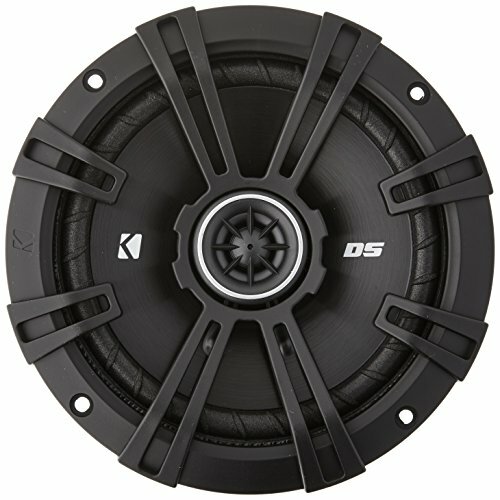 Best overall 6.5 car speaker? The market is an incredibly competitive one, we hope our FAQ style buyers guide will help shed some light and steer you towards your next purchase. Up to 150 watts of power. First up is a commendable pair of 6.5 inch beauties, they make for a great indoor/ outdoor two-way option, due to their all weather versatility. They are of a solid construction and come in a classic black or white finish. The frequency response on the OSD Audio is fairly wide, ranging from 37Hz to 20KHz. The enclosure is ported for better bass response, but with the outdoor use in mind, the circuitry and internal components are completely sealed and duly protected. The driver is impressive and the power handling goes from 10-150 watts. They are lightweight with compact dimensions and come with matching mounting brackets which swivel 180 degrees. They are reasonably priced for weather-proofed speakers, but of course, you will already have to have an amplifier or system to hook them up to, or you will need to purchase one. + Up to 150 watts of power. 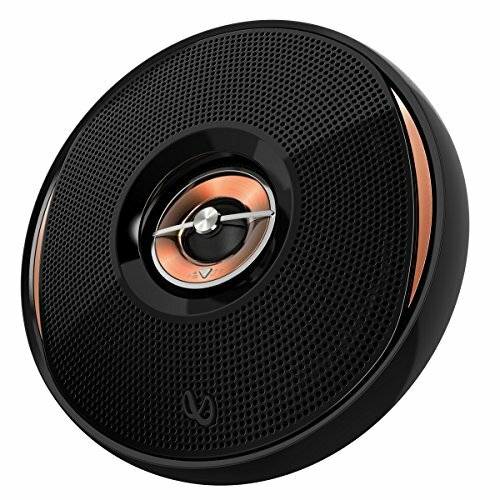 Why We Liked It - These are ideal speakers to mount outdoors for garden parties. They are exceptionally well made and good value for money. 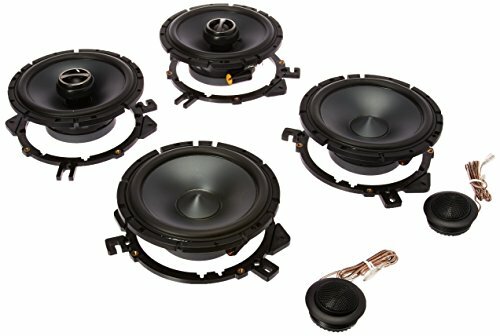 Our second speaker product that we are reviewing are a set of four, 3-way coaxial stereo speakers for mounting in your car. They are well built and are CEA-2031 compliant speakers, their powerful drivers have a peak power of 90 watts per speaker, the route mean squared power is 45 watts each. They feature a tiny half-inch silk dome Piezoelectric tweeter to effectively deal with high-frequency audio. Having separate types of speakers designated to different frequency ranges gives a more natural representation of sound, high-frequency sounds will often be tinny without a dedicated tweeter. 6.5 inches is an ideal dimension for car door speakers, this set makes a pretty decent upgraded replacement with their additional tweeters. They weigh less than 10lbs and are easy to mount. They have a mounting depth of 2-3/16 inches. 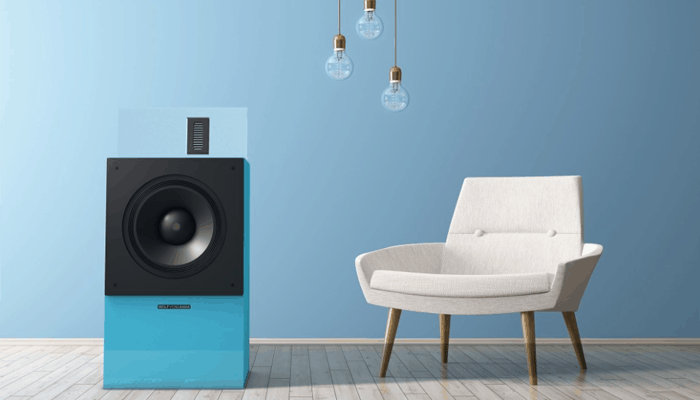 Why We Liked It - These 3-way speakers emulate a typical loudspeaker setup with it's frequency allocated cones provides a less synthetic feel to audio, no boxiness, no muffling or distortion. Another option, this time a 2-way coaxial set to mount in your ride are these 6.5” pair from Kicker. They are surprisingly inexpensive for a set that is so well made. Some of the reviews in our opinion are a little unfair, Kicker makes some pretty decent, low-cost speakers and we are inclined to think that some of the disappointment found with these guys is from bass-heads, looking to deck their cars out in homage to the SPL wars. If you aren't looking to pack your trunk with giant booming subwoofers, these are an expertly made duo. We feel they are powerfully loud putting out a total of 240watts, with a great driven bass response for a 6.5 and that ultimately the low-end handling is determined by your set up and the mounting and enclosure methods. They come with the necessary splice connectors for simple mounting. The components great quality and they are adept for clearer high-end frequencies. They make for an excellent car speaker upgrade and surpass most expectations given their appealing price-tag. + Good full range sound. Why We Liked It - They pack a real punch for a pair that weigh less than 5lbs, we think the bass response is rich and resonant and the trebles distinct and crisp. Here we have a premium pair from JBLs fantastic high-fidelity GTO series, a perfect audio upgrade for your automobile. Their large carbon-injected cones displace much more air than other 6.5 inch speakers in its class, essentially producing more bass. They feature patented UniPivot tweeters, so you can direct the sound to where you want it. They share dual level volume adjustment, which helps to compensate for less than idyllic placement. The components used are premium quality and well-manufactured, they capably direct the highs and lows to their respective, dedicated speakers. They are easy to install and have a mounting cutout diameter of 5-1/16 inches and a mounting depth of 2 inches. They Come in comfortably below the hundred dollar mark, they weigh just under 6lbs and are very low impedance. Why We Liked It - The JBL GTO series is one of their most innovative lines. They produce pristine high-fidelity sound available in common factory sizes, This pair are robust and make an excellent replacement, satisfying auto and audio enthusiasts alike. When it comes to speakers, Pioneer know a thing or two, having dealt with consumer electronics for the best part of almost a century. The Tokyo based corporation began life as a radio and speaker repair shop and today they manufacture some of the best-selling on the current available market. This pair of 6.5” speakers have an impressive maximum output power of 320 watts and they are incredibly low- priced for a high- class, 3-way set. They come hot off of Pioneers next generation TS-A series which have been refined and re-designed for optimal audio. They have improved bass, a more dynamic range, and better power-handling, as well as a trendy new facelift. They feature a new multi-layer Mica Matrix cone design surrounded by lightweight elastic polymer. The cones rigid nature gives a much wider audio dispersion. The tweeter design has been radically improved. Overall, they provide lush stereo sound with deep bass, and high fidelity natural soundings mids and highs. They effectively cope with high input power because of well-thought-out features such as their heat-resistant voice coils along with the vented cooling baskets incorporated from their high-end PRS Spider designs. + High end patented design features. Why We Liked It - They are an exceptionally valuable set with some pretty high end design features. Up next is another exemplary pair of 3-way class car speakers, served up a super-low price from Boss Audio Systems, fresh from their Chaos series line. They feature piezoelectric tweeter which contains an active element that has been positively charged, Piezo speakers are much are less susceptible to overloading. Theses high-frequency drivers cope better and don't require any crossover. They are low impedance, they feature durable poly injected cones in a rubber surround, providing a highly responsive performance. The 3-way nature produces a full-range sound dynamic which is practically unbeatable at this price level. 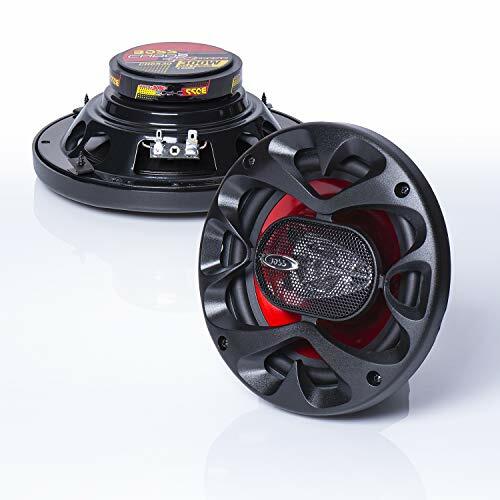 Other design features include a high temp voice coil which coupled with the heat-resistant Piezo mean that these 6.5 inch bad boys with their eye-catching black and red aesthetics can handle up to 300 watts at a peak of 150 each. They are relatively simple to mount if you know what you are doing and require a depth of 2.1inches. Why We Liked It - They are an awesome pair of speaker with high end design aspects that have somehow been reproduced for a fraction of the cost of most of the other products they also have a reputable brand and 3 year warranty and come with free grilles. The sound range is dynamic and distortion free. 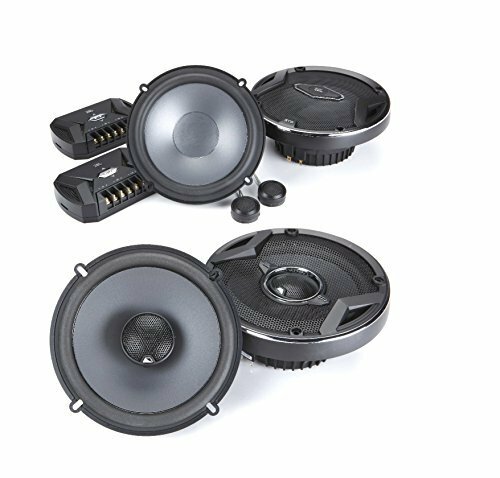 Another good alternative for kitting out your car with, which have a mid-range wattage and fairly impressive 2-way class specs is this SPS set of 2 coaxial speakers. Each pack a punch of 80 Watts RMS each totaling a 240 peak power together. 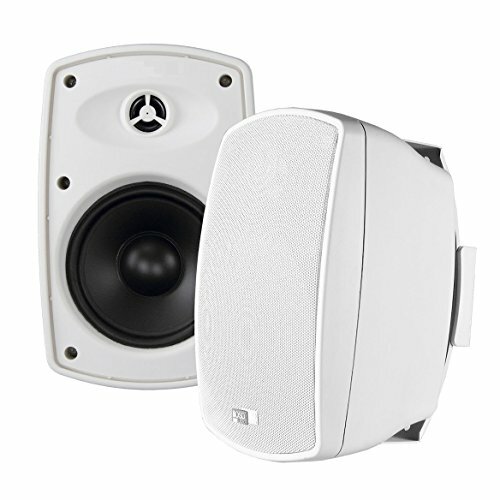 A cheaper option to some of Alpines best selling speakers in the SPR range, for those with a more restrictive budget. They benefit from Alpines knowledge an expertise and share some design features with their high-end lines. 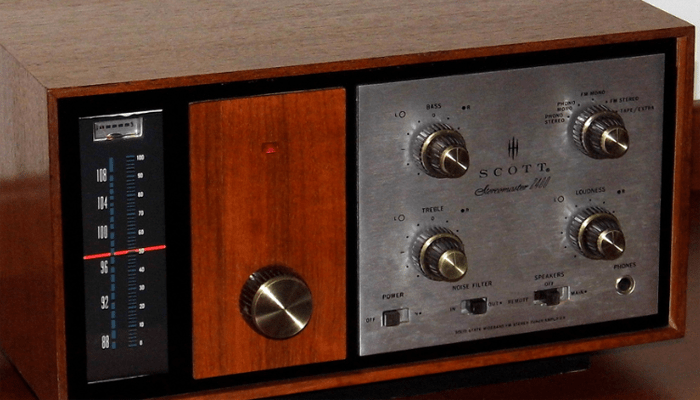 You could also try these speakers under 100. 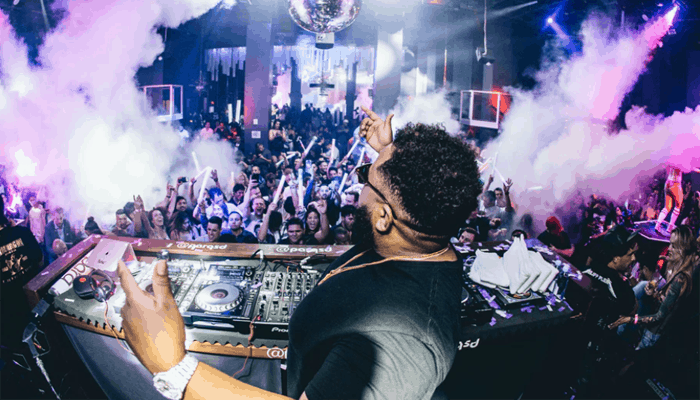 They produce full-bodied sound with dual processing mids and highs are catered for and the bass is a little more understated than some sets but very rich with good depth. The drivers have great power handling and the basket design provides adequate cooling for optimal high-frequency response. They weigh less than 5lbs easy to install and have fairly nominal impedance, which is important especially with older cars that might have outdated circuitry. + 240 watt peak power. Why We Liked It - They handle an ample amount of peak power and alpine audio speakers are well made. Of course, we couldn't sift through so many top car speakers without coming across a superb 6.5” offering from Kenwood. 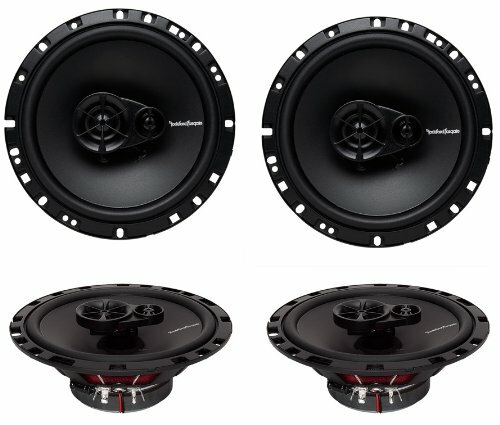 They are a high-performance, set of 2, 3-way class, coaxial speakers. Each effectively copes with 150 Watts with a peak of 320 respectively. They feature Kenwoods flush mount design and are extremely well crafted. They are affordably priced and the layout consists of 2-1/2” paper cone,1-9/16” paper cone tweeter, and 1/2” ceramic super tweeter. They serve up a brighter sound with great clarity, the bass has a presence but is not overbearing with this pair set-up. They have a versatile frequency response which covers 75-20,000Hz and very low impedance. + Crystal sound (super tweeter). Why We Liked It - They are an affordably priced top class option that cover a good range, the bass is not too heavy and they are an easy install. If you happen to be browsing speakers, looking for an upgrade for your boat then the following offering from Sony will probably be the one for you. 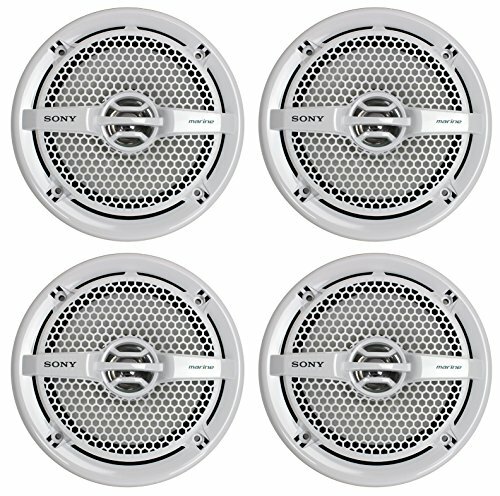 It is a stylish set of 4, dual cone, 6.5-inch Marine speakers. They are IPX5 certified as water resistant enough for marine use (UV-ray and salt-waterproof). Sony has decades of experience and fabricate some great low-cost products and these are no exception. They are lightweight but of a durable build and feature premium components. The dual drivers have surprising performance and cope with a fair input. They have 65 Watts of RMS power, 130 per 4-pack and maximum power of 140 watts (280 watts per 4-pack). They produce good resonant sound with reasonable clarity. They have excellent circuitry with very low impedance and can be front or rear mounted with relative ease at the convenience of a few standard spade wires. They require a cutout of 4-15/16 inches, they come in classic black or white and they have a removable grille though it is disappointingly only plastic. Why We Liked It - They are a reasonably price foursome that are perfect for pimping up your pontoon with. Our final review for this article are this rugged pair of 6.5” coaxial speaker. They are 2-way classified and extremely high fidelity. They have an ultra low impedance, compensating for wiring quality elsewhere. The high frequencies are smoothly dealt with via its soft dome edge woven fabric tweeter. They are carbon injected glass fiber material which copes well under peak pressures. The power handling on this maxes out at a whopping 450 watts (225 each). The RMS power of each is 75 watts totaling 150 watts. They make for a remarkably noticeable upgrade to factory installed car speakers, in terms of fidelity. The sound, in general, is pretty full range despite the 2-way class. They feature proprietary Plus One cone technology allowing them to provide more cone are than any other speaker in their class for unrivaled dispersion. They have modern aesthetics with their beautiful chrome inserts on the grille, they have no visible mounting screws. + Premium material used in component. + Plus One cone tech. Why We Liked It - They are a robust set, that have outstanding performance, the price of these is a little higher than the rest we have reviewed but the components are superior quality so ultimately you get what you pay for. What you need to look for is entirely down to the kind of speaker you require on the surface they are the same dimension and function in identical manners but some will be actively powered and therefore a standalone product, others will be used as an addition to a speaker amplifier. We have reviewed a cross-section of different types of audio solutions based on your FAQs around the 6.5-inch speaker realm. 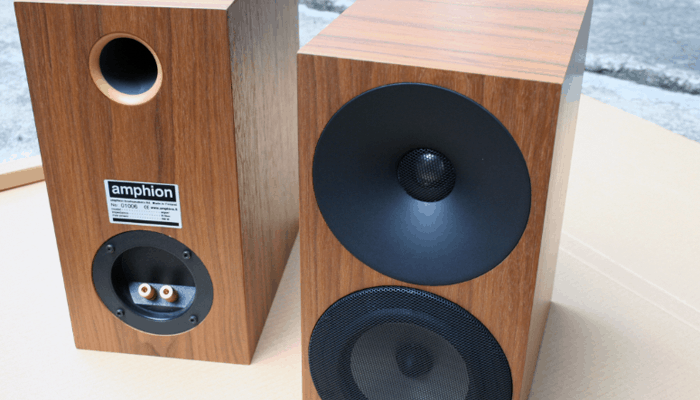 If you were looking for budget bookshelf speakers or monitors with speakers enclosed with the given dimensions, relax as we have a selection of speaker-related articles packed with reviews and each with an informative buyers guide for your benefit. 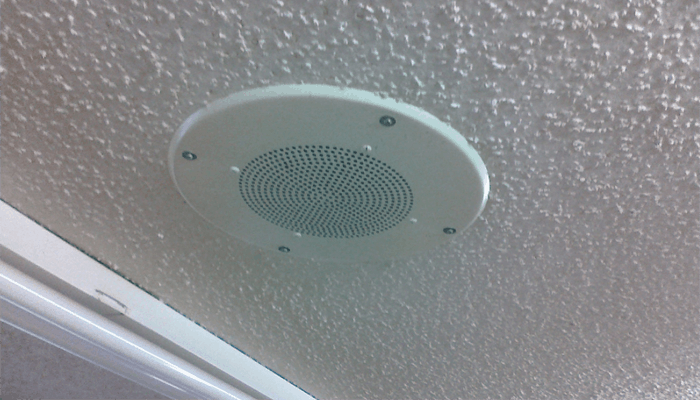 Once you know what type of speaker you are looking for fit for its purpose, you want to think about whether you require any specific features, for example weatherproofing for outdoor use. Speakers are constructed with a cone and an electromagnetic coil which creates a magnetic field when a current is introduced. This field attracts and repels the electromagnet away from a firmly fixed permanent magnet which has a piston effect on the cone dispersing the air around it and creating audio waves. 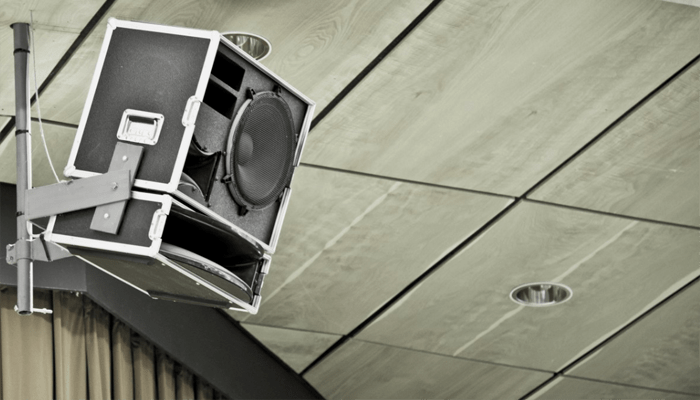 Higher sounds have higher frequency waves meaning that when a speaker plays a high pitch it is moved in and out extremely rapidly, this can create a lot of heat. Different types of materials for cones are better for certain frequencies, for example, silk or paper or silicone is very good for high-frequency sound, heavier bass requires something denser that still reverberates. The materials can differ greatly and can be of a composite nature, some high-end speakers even use cutting-edge Kevlar designs. If you want a full range sound you will need a driver set up with at least 2-way class speakers, one to cover the upper end and one for the lower registers. You will find the depth and overall sound is even better if you have a typical loudspeaker set-up with a woofer, speaker and tweeter classified as 3-way. Having something dedicated for different ends means that the components used in the driver can be made from materials better suited. A designated tweeter, for example, will have design aspects specifically calibrated to cope with high temperatures that come as a result of excessive kinetic energy with nowhere to go. Another thing to consider is power consumption and what wattage you are looking for. The contender that clearly gets the crown for the best budget 6.5-inch speaker is the BOSS Audio set, they're our lowest priced pair and they are a 3-way class, providing well balanced, diverse spectrum audio. They feature some premium optimizations and come from a trusted brand. For most durable we would suggest the Infinity Kappa pair, they are considerably well manufactured and their patented Plus one cone technology means they handle and perform exceptionally well. If their price tag is out of your reach the most durable cheap option would be the Kenwood set they are 3-way through the bass is a little subtler than you might desire. Again we go for the Boss Audio pair the sound is unbeatable without paying at least double the price and even at that level of the market we don't typically see 3-way models that can handle the same wattage as these babies can manage. We think the Pioneer pair have the best sound overall, they are a fantastic full range 3-way class set and they handle 320 watts. Their multi-layer Mica Matrix cone is hypersensitive and super responsive. The series has had many refinements and incorporated features from their higher end lines in the affordably priced set. The fidelity is noticeably different and we like the new cosmetics also. The set of speakers you decide to go with is tied to the function you require of them. In our buyers guide we have attempted to sort each categorically as to what they are best for. Hopefully, this along with the lashings of info will aid you in your search for a suitable 6.5-inch speaker for you. 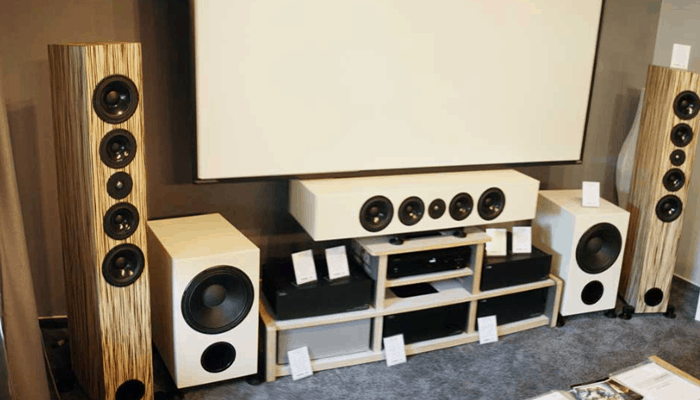 Be honest about what you really need from your speakers, many people overbuy in terms of power and many people crave a subwoofer on a sound system which they will probably, in reality, will rarely use. If you are shopping on a lower budget is always a good idea to go with a reputable brand to get a valuable bargain instead of a cheap knock-off. 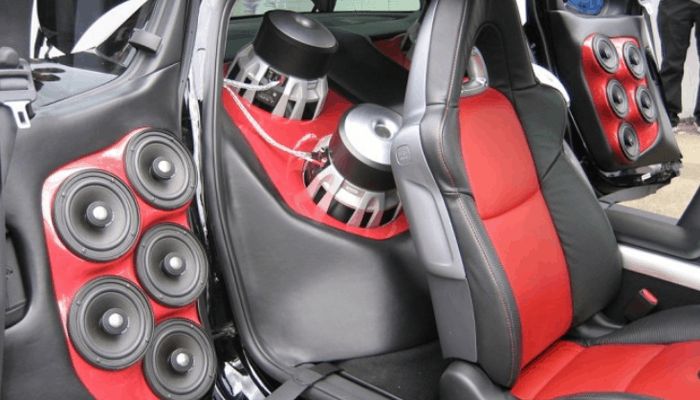 The key factors desirable in a decent set of car speakers are a 3-way class set up to cover a better frequency response, low impedance a mount size that won't be impeded in your vehicle, sensible wattage and cooling methods implemented in the design. 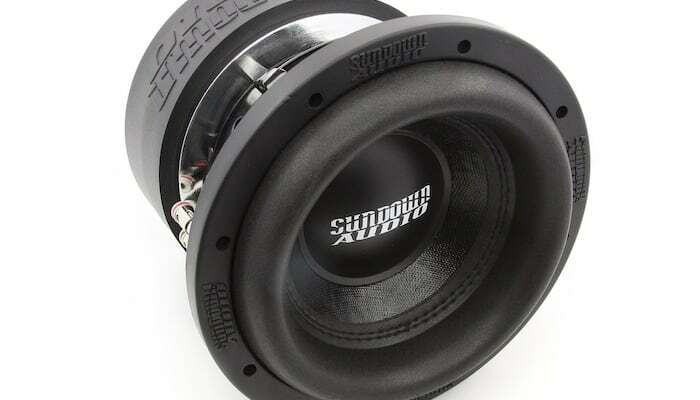 6.5 inch isn't a car speaker size that usually requires any modding, If you are a serious bass-head looking for some 10” beasts you to really boost your car's bass then you might want to head on over to our Top 10 Best Budget Subwoofers for Cars article to see what's on offer. The worlds most expensive car audiophile system the Focal Ultima Kit utilizes a beryllium dome tweeter and has a woofer and dedicated subwoofer set up. It sells for $20,000 and has been expertly designed, the first one was purchased for a modified GT-R.